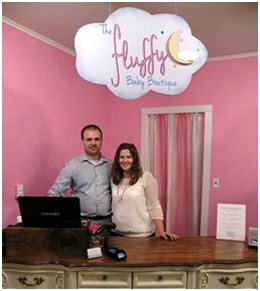 At the Fluffy Baby Boutique on 17 Kennedy Street in Bradford, Pennsylvania you can find everything for expectant Moms and for boys & girls from infant to 4 years old. This is a fun and friendly boutique offering unique infant and toddler clothing, cloth diapers, accessories, and natural parenting products. Find baby carriers, wraps, quilts, diaper bags, baby food makers, recipe books, food pouches, plates & bowls, and baby bottles. Organic care products like shampoos, soaps, lotions, and herbal teas make great gifts for Mom and baby. Check out The Fluffy Baby Boutique website for online shopping. They can ship anywhere in the United States.